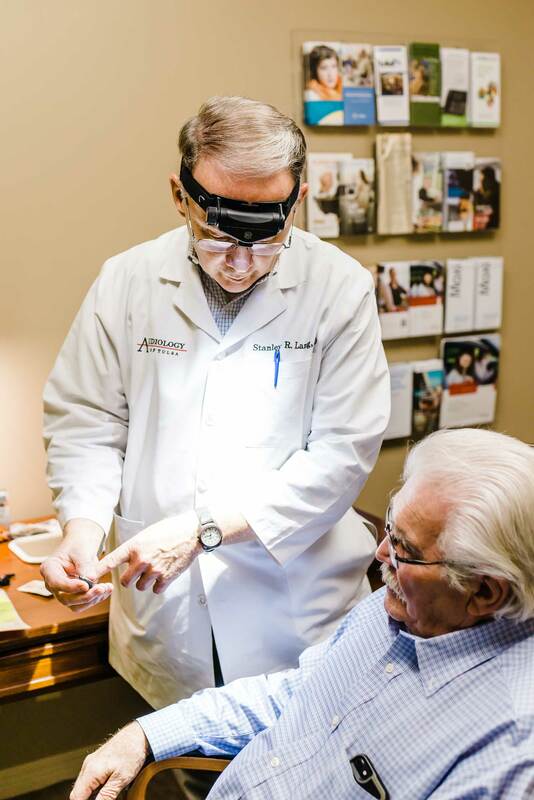 At Audiology of Tulsa, one of our goals is to inform our patients of all the possible hearing solutions and advancements in technology that are available on the market. We have many services to offer you or your loved one, whether you need a hearing test, purchasing batteries or syncing you hearing device to a mobile phone. We are here to service your hearing needs! After your hearing evalution with an audiologist, they will make a recommendation on what hearing aids will best suit your lifestyle. An order will then be placed, and we will schedule a time for your fitting. When your new hearing aids arrive, we will meet again. We will make certain that your hearing aids fit your ears properly, and they will be programmed for your specific hearing loss. You will be fully instructed in the use and care of your hearing aids. Also, we will provide you with helpful tips on how to get adjusted to clarity of sounds you will be hearing.